An elegant substantial solid 18kt White Gold watch. The watch case has a contoured shape that fits comfortably on the wrist. Case set with 14 top wesselton vvs1 quality diamonds. Crown set with a single Sapphire cabochon. 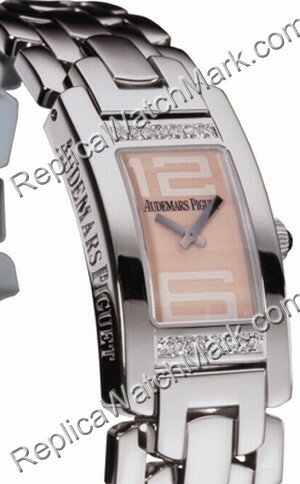 "Audemars Piguet" is engraved on the edge of the case.